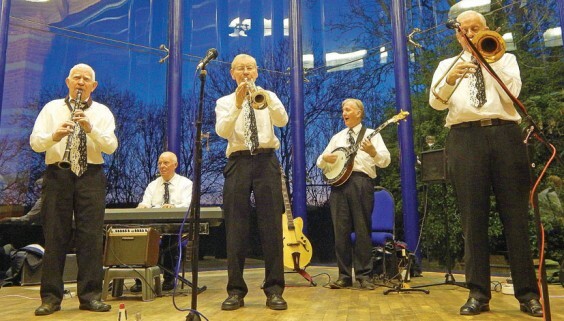 A night of jazz music in The Ark at St Laurence Church, Alvechurch, saw George Huxley’s Hot Five Jazz Band playing to a packed house, writes Keith Woolford. Sue Brotherton, who had organised village jazz events in previous years, was lured out of retirement to arrange this gig. Everyone had a fantastic time and there was even dancing in the aisles, notably by Sue and her friends! It was a great concert of great sounds, with George playing requests during the second half.